I love looking across the hills of central Pennsylvania. In this shot, I see several layers connecting me to the horizon. 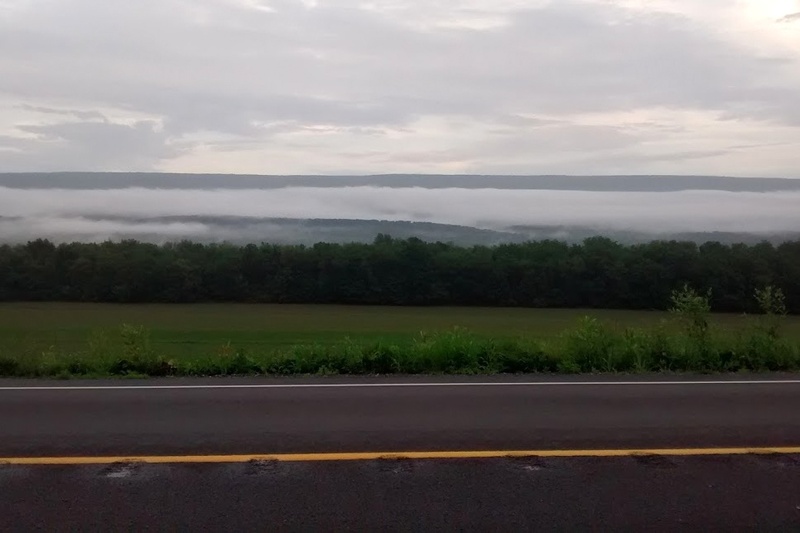 In order from near to far, I see road, field, treeline, ridge, fog, another ridge, and the sky.